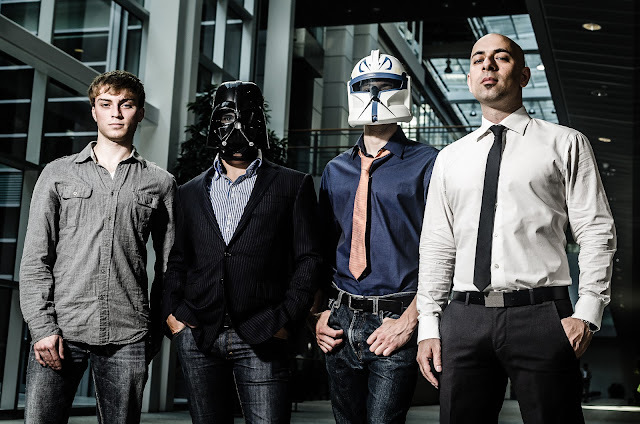 Fruitless Pursuits: ShelfLife Introduces Collector Wars! If there is one thing toy collectors are obsessed with, it's checklists. Going back to the dawn of the internet, there have been forum discussions after forum discussions about a checklist for this line of figures, and which checklist is the best and most complete, and which is printable, or can be filled in online, etc... I guess being completist and obsessive-compulsive probably go hand-in-hand. And I think the creators of the new toy archival site ShelfLife realized that as well. ShelfLife has a touch everything. 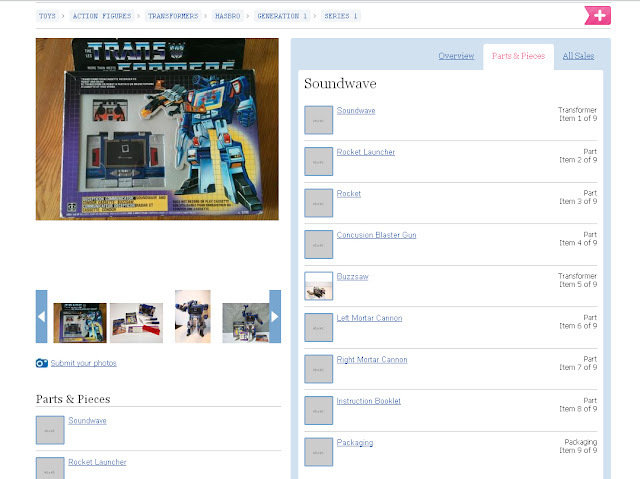 It's part Wikipedia (you can add information about your toys) part checklist (you can catalog your toys), part eBay (you can buy and sell toys, part Instagram (you can photograph your toys), part Facebook (you can chat about your toys), and defying the normal all-in-one odds, it seems to blend all of these really well. Just clicking on a figure (for example Blitzkreig Bat from Battle Beasts) brings up a whole tree of options. Starting from the manufacturer (Hasbro) all the way down to the release date (1987). Each of these is clickable which brings you to a listing of every other figure that fits the criteria. And on the user input side, there are photos of each toy, packaging and accessories. Well, eventually there will be. As you can see above there are a lot of placeholders. But.... ShelfLife is very smart. They are rewarding collectors for filling in these gaps during their beta period. For the next 30 days, you can win huge prizes for contributing to the site. It's one of those things that you would probably do anyway (make a checklist! You get points for each owned toy in your collection) and you may wind up winning more toys in the end, which will eventually end up in your collection. Circle of life. Do Collector Stuff. Earn Points. Win $750 in Prizes! ShelfLife.net is proud to announce the launch of our Collector Dashboard and Collector Score functionality to cap a year of fantastic development for our collector community. To celebrate, we’re running COLLECTOR WARS from November 1st - 30th, 2012. Almost everything you do on ShelfLife this month racks up your Collector Score, and we’re giving away $750 in prizes and cash to celebrate! Most Collectibles Sold: $100 and sell free for a year. Most Collectibles Bought: $50 and Level 10 for a year. Just login to ShelfLife.net (accounts are free) and start using the site. Collector Points are awarded for Wants, Haves, Buying, Selling, Referring New Users & Curators, and for Curating Catalogs. Points accumulated during the contest will also contribute to the 90 day rolling Collector Score for each collector and will unlock further benefits, discounts and access to upcoming exclusives. Random daily prizes will also be awarded in coordination with sponsors. Collectors will also be able to wager points via Collector Battles. Hundreds of catalogs, with a strong focus on Action Figures and Designer Toys, are already up and running on ShelfLife.net and more are being added all the time. If a catalog is missing from the system collectors can request it be added via their Collect Mode page. 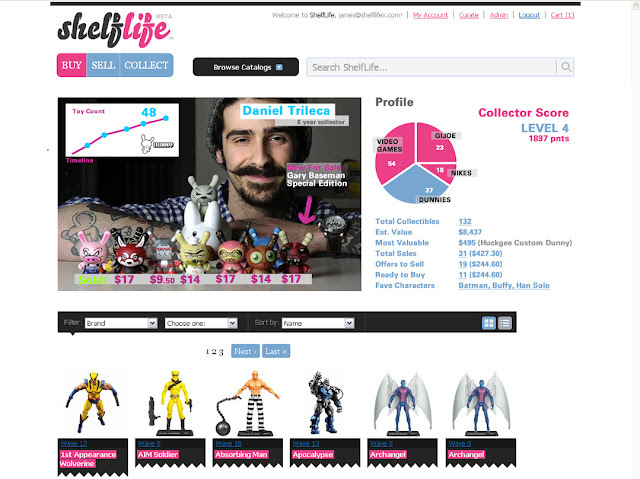 ShelfLife.net is the ultimate collector platform, with free collection management and social tools for collectors and a next generation marketplace capable of automatically matching buyers and sellers. Volunteer curators build each catalog on ShelfLife in pursuit of completing a permanent archive of every collectible ever made. Thanks for the coverage Jason! Ping us with sponsorship info. Cheers! Points competition for Collector Wars is really heating up...get in the mix folks!